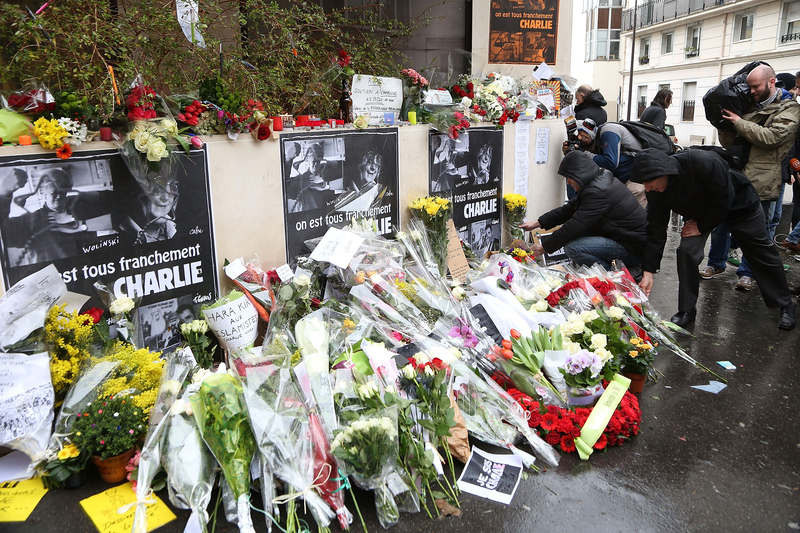 Less than 24 hours after the brutal attack on French satirical newspaper Charlie Hebdo, retaliation had begun. By Thursday, two Muslim places of worship had been assaulted and an explosion went off at a kebab shop near a mosque. This kind of immediate retribution is, unfortunately, not unexpected in France, where tension between the French and its considerable Muslim population has long fostered Islamophobia in the country. But it's crucial for France, and the world, to be reminded during this precarious time that Islamophobia is exactly what Islamic terrorists want. France's deadliest attack in 50 years has left a country reeling, but one group will feel a much longer-lasting backlash. There's a rapidly growing sense of dread among France's Muslim community, who is already seeing violent attacks as so-called revenge for the Charlie Hebdo massacre. On Wednesday evening in the Port-la-Nouvelle district, several shots were fired at a Muslim prayer hall shortly after evening prayers, but luckily, the hall was empty. In the early hours of Thursday morning, three blank grenades were thrown at a mosque in Le Mans and one shot was fired into the window. In the town of Villefranche-sur-Saone, an explosion went off at a kebab shop adjacent to a mosque. Things will be really bad for us now. Before the shootings, it was normal for us to be attacked by people who don’t like Muslims, but now it will be much worse. There will be hate and discrimination and aggression. People will start saying it was right to hate Muslims, because they’re apparently crazy. What Is Islamophobia's History in France? Just as the term suggests, Islamophobia refers to a fear of the Islamic religion and Muslim people. The term is somewhat controversial, as many have said it lacks a distinction between criticism of Islamic extremism and discrimination against Muslims. In fact, last year 12 writers, including fatwa-issued Salman Rushdie, signed a manifesto against Islamic totalitarianism that was published in Charlie Hebdo. In the manifesto, the writers call Islamophobia "a wretched concept that confuses criticism of Islam as a religion and stigmatisation of those who believe in it." Controversy aside, the term is still widely used to describe the tension Western societies feel about Muslim immigrants. Anti-Muslim sentiment existed before 9/11, but grew significantly afterward, becoming the Islamophobia that is felt today. It's a fear that has long pervaded France, where even political leaders have encouraged a divide. In 2011, France enforced a ban on face covering, outlawing niqabs and burqas worn by Muslim women, in an effort to essentially strong-arm Muslims into assimilating to French culture. According to a 2010 poll published by Le Monde, 68 percent of French people believed that Muslims are "not well integrated into society," while 42 percent felt that Muslims were "a threat" to France's identity. In the wake of a national tragedy like Charlie Hebdo, it is all too easy for Westerners to succumb to Islamophobia, but they'd be fulfilling the terrorists' exact goal. Extremists want to drive a wedge between Muslims and the rest of the world, even if that means discrimination and violence against Muslims. In fact, the more targeted Muslims feel, the more likely they'll be driven to extremism. This effect has already proven successful among France's Muslim population, which is an estimated 5 million people. For decades, France has systematically ostracized its "banlieues" districts, which are low-income suburbs where the vast majority of the country's immigrants reside. These areas have become popular recruitment centers for Islamic fundamentalists preying on impoverished and impressionable Muslims who can be easily convinced to support the extremist cause against Western society. It's common sense: Don't give the enemy what it wants. Ideally, France would respond to this tragedy not by further alienating its Muslim community, but instead, by engaging it. Reassure them that you recognize the stark and fundamental difference between someone of Islamic faith and an Islamic extremist. Not only will working together help mend the country and prevent future attacks, but a united front is the strongest weapon against terrorism. Terrorism, by definition, seeks to instill fear — in this case, Islamophobia — so the best way to defeat it is by showing none.